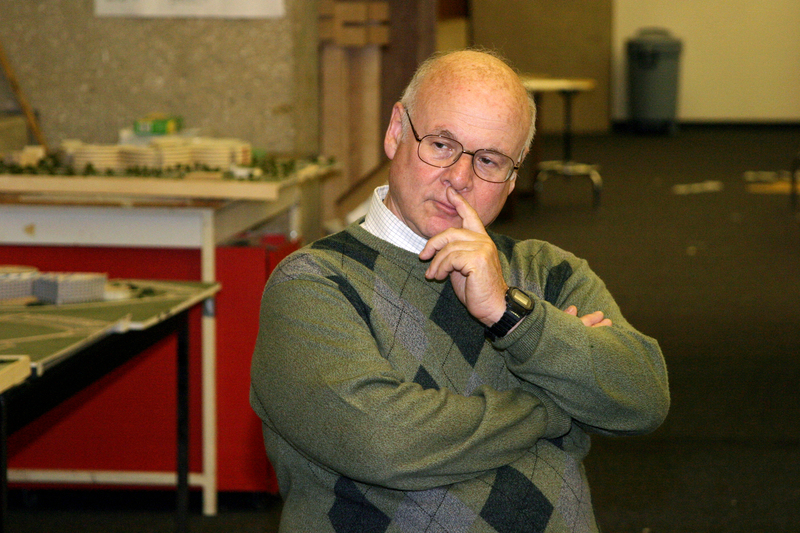 George Mann has spent 50 years teaching architecture at Texas A&M University. Two prominent Aggie architects have recently pledged lead gifts to create a faculty chair in Mann's honor. “Hospital,” he said, “conjures up images of a ‘house of sickness.’ But ‘health’ has a more positive connotation." So while designing hospitals is a critical function of Mann’s role as a Texas A&M University architecture professor, the groundbreaking architecture for health specialization he created when he arrived at Texas A&M in 1966 is largely focused on wellness rather than sickness. Mann underscores this mindset when working alongside students in his health facilities studio design lab. It also guided him as he helped establish Texas A&M’s Center for Health Systems and Design in 1983—a joint venture between the College of Architecture and the College of Medicine. To honor the man who’s in his 51st year of teaching this architectural specialization—and to support the center that encourages an interdisciplinary approach toward health facilities design—two prominent Aggie architects, Ronald Skaggs ’65 and Joseph Sprague ’70, recently pledged lead gifts to the Texas A&M Foundation to create a faculty chair in Mann’s honor. 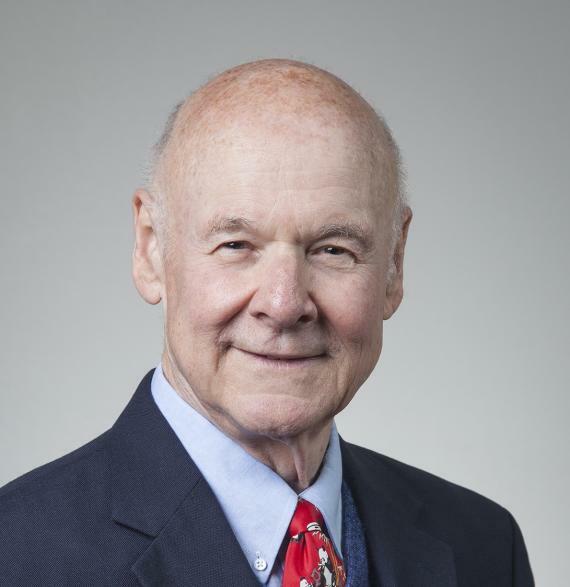 Contingent on the generosity of former students and other friends of Mann and the health systems center, an endowment for the George J. Mann Chair in Healthcare Design is slated to be fully funded by 2021, providing a constant stream of support both for the center and its director. His own background likewise contributed to his yearning to alleviate suffering: His Jewish Austrian family fled the Nazis when he was a baby, and he barely survived his first year in China, where the family sought refuge. “I always felt very lucky to be alive, but I didn’t understand at the time that designing health facilities for those in need was my way of demonstrating my thanks,” he said. In designing the Indian hospital, Mann managed to impress his Columbia professor, Edward J. Romieniec. In 1966, Romieniec, who served at the time as head of Texas A&M’s Division of Architecture (now Department of Architcture), recruited Mann to create the school’s architecture for health specialization. Half a century later, Aggie architects all over the world credit Mann with igniting a passion within them to use their skills to better the lives of others. Many have gone on to design some of the world’s foremost health facilities, while others have quietly met the needs of more vulnerable clients through thoughtful, functional design. Successful health facilities projects can’t be designed in a vacuum. Medical experts, in particular, must be part of the process. It was this understanding that spurred the creation of Texas A&M’s health systems center. Today, the center boasts the world’s largest collection of interdisciplinary faculty, students and affiliated professionals. Its 37 faculty fellows come from every department within the College of Architecture, as well as from several Texas A&M Health Science Center colleges and from the departments of educational psychology, marketing and agriculture. The center goes beyond architectural renderings to promoting research, innovation and communication related to the health care field. Central to its activities are a weekly visiting lecture series and a Certificate in Health Systems and Design program, open to graduate students in any field. Financial support for the center comes from the Health Industry Advisory Council (HIAC). For annual individual dues of $5,000, HIAC members give input on health care design education, initiate studio design projects, develop university-industry partnerships and mentor students. Two of the foremost supporters of the health systems center are Ronald Skaggs ’65, chairman emeritus of international architecture firm HKS Inc., and Joseph Sprague ’70, senior vice president of health facilities at HKS. Skaggs’ relationship with Mann spans the professor’s entire 51 years at Texas A&M. Seeking advice for a graduate study specialization, Mann convinced Skaggs to give health facilities design a try. That conversation not only landed Skaggs in Mann’s first Texas A&M class, but also established the trajectory for Skaggs’ career. “It was the best thing that ever happened to me,” Skaggs said. Skaggs and Sprague later met while serving in the Army Medical Services Corps. Sprague had earned his architecture degree from Auburn University, but Skaggs convinced him to visit with Mann about graduate school. That conversation (and, Mann claims, the campus golf course) convinced Sprague to join Mann’s fourth graduate school class. “He became my mentor, and that’s remained the case for a very long time,” Sprague said. Skaggs and Sprague joined forces with another Aggie at HKS, Craig Beale ’71, to create a trifecta of support for health facilities design faculty in the form of two professorships and a chair ten years ago. 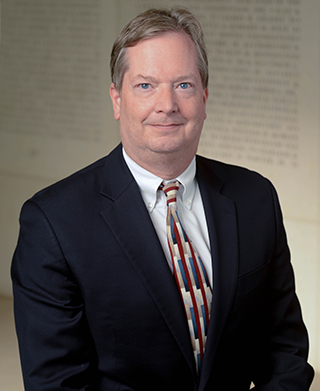 Mann is the current holder of the Ronald L. Skaggs Endowed Professorship in Health Facilities Design. Skaggs said that the latest chair is a continuation of this earlier support. This time, though, Mann's name will be permanently associated with health facilities design at Texas A&M. While Sprague and Skaggs gave the lead gifts for the Mann chair, its ultimate establishment relies on gifts from others. Once private donors contribute a combined $500,000 to the endowment, the university will contribute matching funds to reach the $1 million required to establish a faculty chair. The influence that Professor Mann has had on thousands of students in his 50 years at Texas A&M has really put the university on the map in health facilities design. 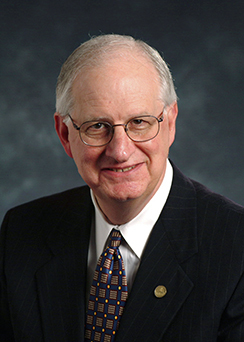 Kirk Hamilton, the Julie and Craig Beale ’71 Endowed Professor in Health Facilities Design, first initiated the idea to establish a chair honoring Mann. Before Ray Pentecost assumed directorship of the health systems center last year, Hamilton filled the role on an interim basis. As center leader, he became acutely aware of the center’s financial dependence on HIAC members. Like many industries, architecture experiences its highs and lows. In the low periods, HIAC membership drops, meaning funds to pay for basic functions such as certificate program expenses, faculty fellow salaries and operating costs also decline. The establishment of a chair for the center director would not only honor Mann’s decades of dedicated teaching and health facilities expertise, Hamilton said, but would also provide a permanent source of income for the center itself. While in his studio design lab, Mann’s students have completed more than 800 projects for real clients, ranging from additions to the massive University of Texas M.D. Anderson Cancer Center in Houston to the more modest Twin City Mission Homeless Shelter in Bryan. He’s worked with students to design facilities in countries such as China, Israel and Nigeria as well as mobile endeavors such as the Orbis International Flying Eye Hospital (housed in a DC-10 jet airliner) and Mercy Ships floating hospitals. Aggie architects all over the world credit George Mann with igniting a passion within them to use their skills to better the lives of others. 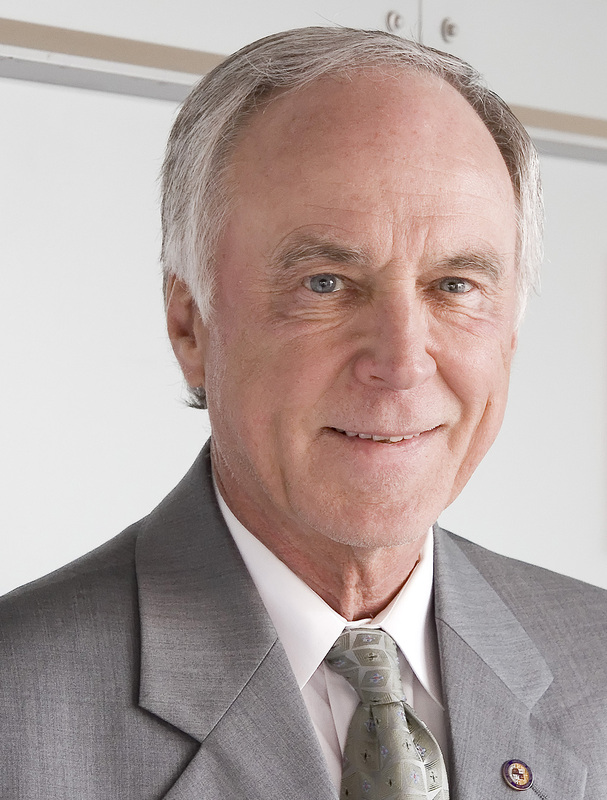 Many of his former students have designed some of the world’s foremost health care facilities. Hamilton remarked that this real-world experience is but one way that Mann gives his students an advantage when they enter the health facilities design field. But Sprague added that Mann’s contributions aren’t only to his students: The world-class reputation of Texas A&M as a leader in health facilities design is, by and large, a product of Mann’s passion and dedication. This new chair will ensure that Texas A&M can always recruit a high-quality director for its health systems center. 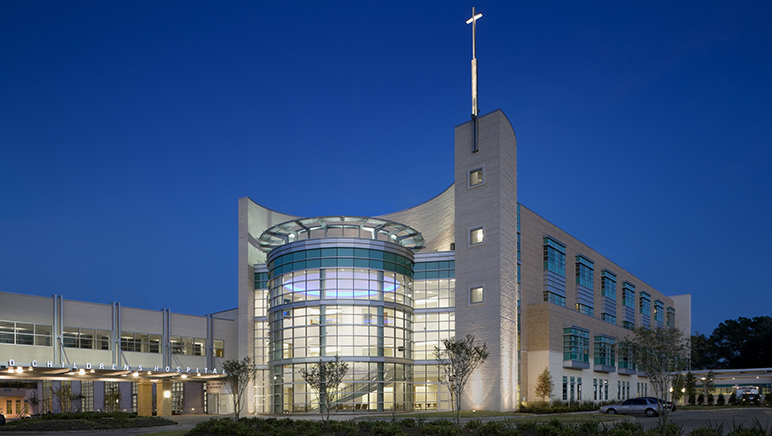 Paul and Judy Andrews Women's Hospital at Baylor All Saints Medical Center is a purpose-built, state-of-the-art facility that provides both medical care and access to physicians specializing in women's health care on the same campus. Aggies involved in the project include Hilary J. Bales-Morales '02, Robert Doane '85, Mattia Flabiano '80, John Garcia '83, Lynn Broyles '69, Brad Cheshire '94 and Jesse de la Cruz '98. Christus St. Frances Cabrini Hospital's Women & Children's Services and Emergency Department Addition is a 180,000-square-foot, four-story tower adjoining the existing hospital, comprising a 28,650 square-foot emergency department, outpatient women's services, two-bed birthing suite, NICU and 9,800 square-foot pediatric unit. Aggies involved with the project include Mark Vaughan '85 and Tushar Gupta '00 from the WHR Architects firm. 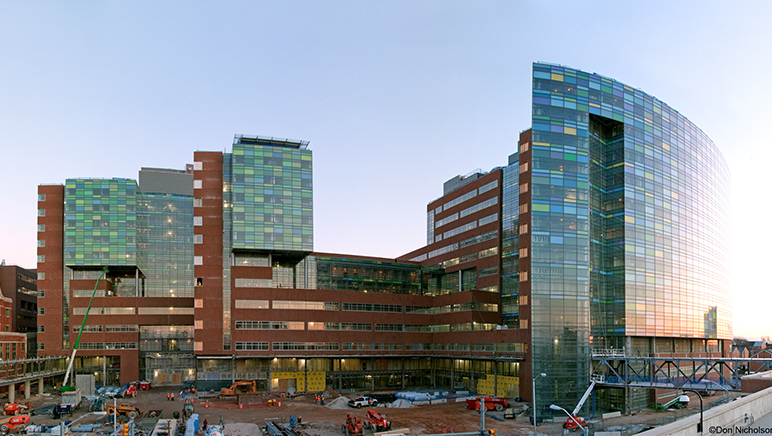 The Johns Hopkins Hospital New Clinical Building in Baltimore, MD, is a 1.6 million-square-foot hospital designed for cardiac/cardiovascular, neurosciences and tertiary/quarternary care for adults and children. Jean Mah '71, an Aggie with Perkins+Will architecture firm, worked on the Johns Hopkins project. 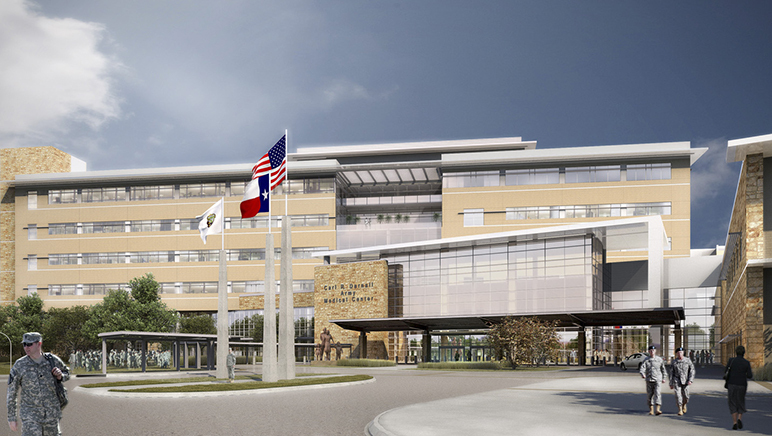 The replacement for the Carl R. Darnall Army Medical Center in Killeen, Texas, was completed in 2012. It provides a state-of-the-art health care facility for service members and their families. The design/build team aimed to create a world-class hospital environment that utilizes evidence-based design concepts and promotes both healing and learning. The HealthPlex Hospital, Norman Regional Health System, seeks to create a curative environment influenced by the latest thinking in patient- and family-centered care. A two-story lobby surrounded by glass welcomes guests, and a grand stair leads to dining on the garden level below. Social spaces invite visitors, patients and staff to reconnect as a community, and ample family space encourages their involvement. The Aggies involved in the project include Hilary J. Bales-Morales '02, Mattia Flabiano '80, Wes Garwood '85, Bruce Pickett '85, Lynn Broyles '69 and Brad Cheshire '94. National Taiwan University's Cancer Center provides the most advanced cancer treatment services in Taiwan. The 1.3 million-square-foot facility features 500 inpatient beds, cutting-edge proton therapy, radiation therapy, outpatient chemotherapy, an outpatient clinic, a 10-room surgery suite, imaging, a preventative medicine center and a 20,000-square-foot research component including a stem cell research transplant center. Aggies involved in the design included Ronald Skaggs '65, Joseph Sprague '70 and Craig Beale '71 from HKS. 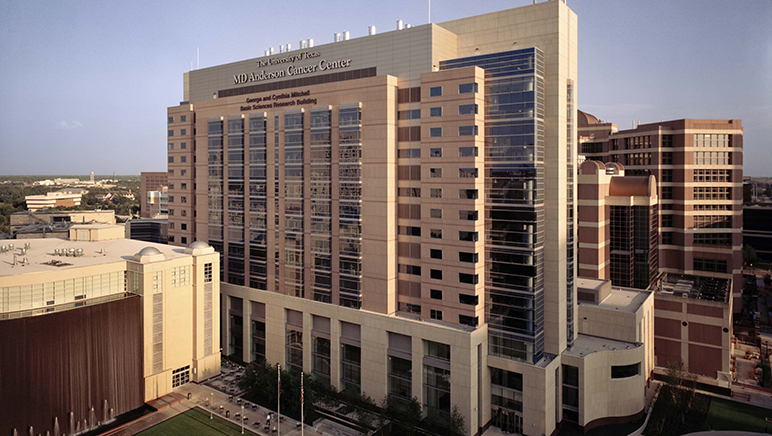 The University of Texas MD Anderson Cancer Center expanded its Houston campus by nearly 1.2 million square feet to nearly double the size of its facilities. 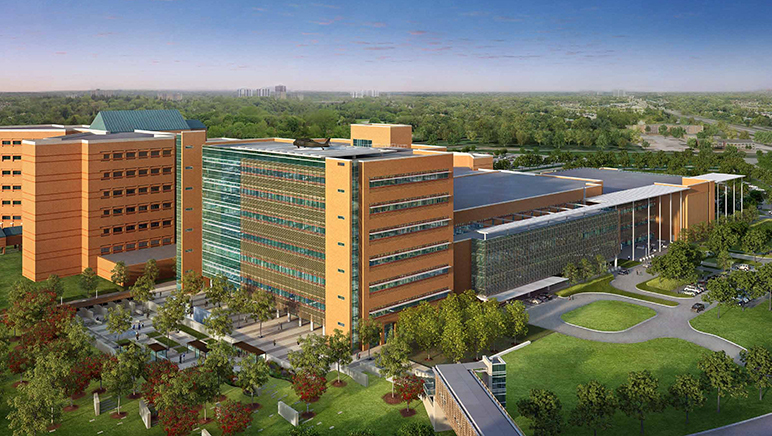 Included in the expansion are The Clinical Research Building of 288,500 square feet; Albert B. & Margaret M. Alkek Hospital, a 200-bed patient care tower of 750,500 square feet; and the Charles A. LeMaistre Clinic building of 163,000 square feet. Aggies involved in the expansion project include Ronald Skaggs '65, Joseph Sprague '70 and Craig Beale '71 from HKS. The New Parkland Hospital in Dallas is a $1.27 billion, 862-bed full-service acute care replacement hospital and 64-acre health care campus. 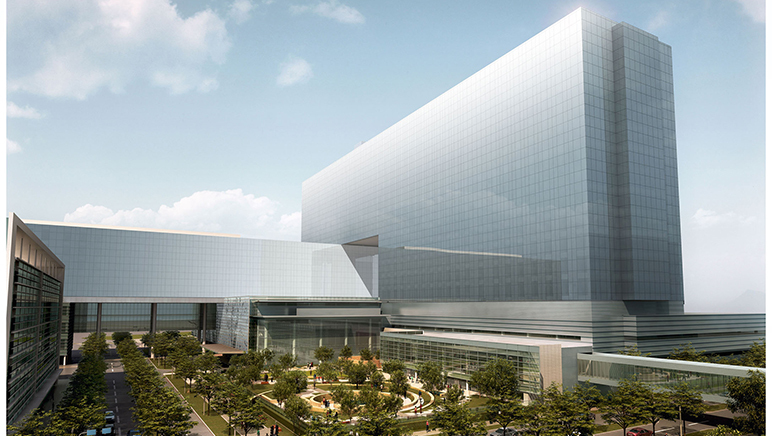 The multidisciplinary team established a strong design vision for the new Parkland Hospital, striving to "define the standards of excellence for public academic health systems." Aggies involved in the project include Dan Thomas '93 and Adam Panter '07 from HDR Architects. 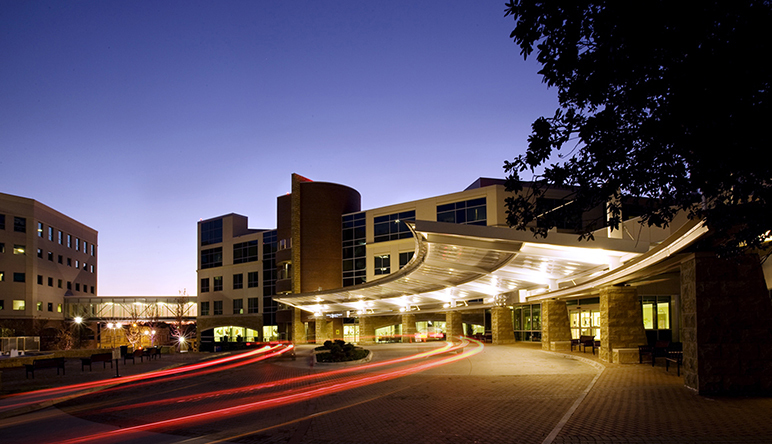 The Heart Hospital Baylor Plano is a 124-bed freestanding facility dedicated to heart and vascular care. 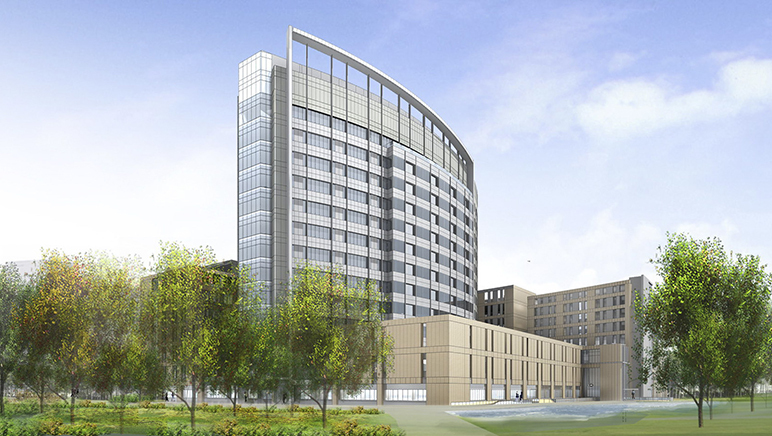 The design of the building was to convey the advanced nature of the facility and provide upscale hotel-like comfort in order to attract discerning consumers who have the option to choose among numerous high-quality Dallas-area hospitals. Aggies on the project team include John Castorina '81, Bethany Childress '98, Haewon-Kim Labroad '98, Paul Wilmarth '97, Colin Davis '97 and Clay Starr '00 from RTKL Associates. The San Antonio Military Medical Center integrates the area's two military teaching hospitals, Brooke Army Medical Center at Fort Sam Houston and Wilford Hall Medical Center at Lackland Air Force Base. 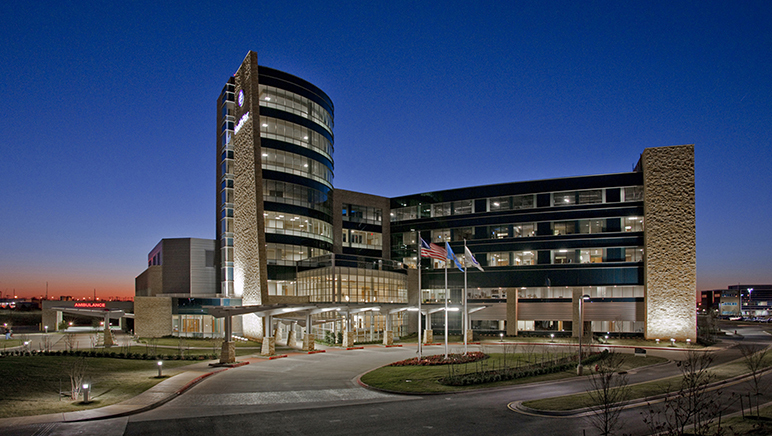 The Innova Group led the planning and programming efforts for more than 1 million square feet of additions and alterations that double the size of the existing Brooke Army Medical Center. Tim Dunnahoo '82 from The INNOVA Group was involved in the project. 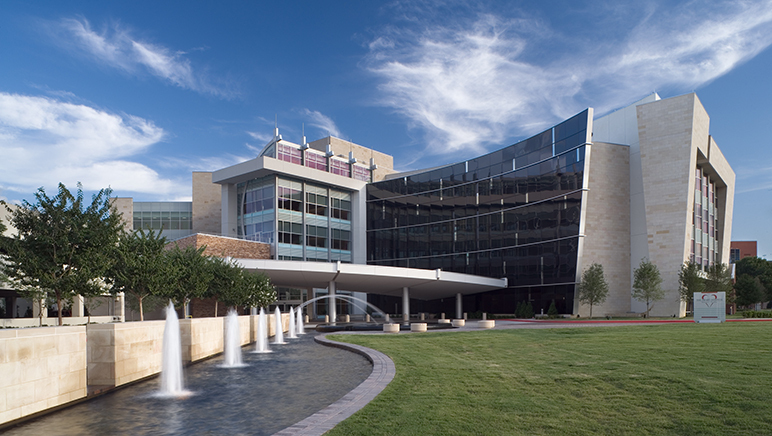 The Texas A&M Health Science Center's new campus consolidates the major health-related elements within the Texas A&M Health Science System, pulling education, research and clinical facilities onto a single campus. Aggies involved in the construction projects are Ed Huckaby '73, Gary Owens '75, Whitney Fuessel '96, Paul Asteris '93 and Ross Turner '04 from FKP. 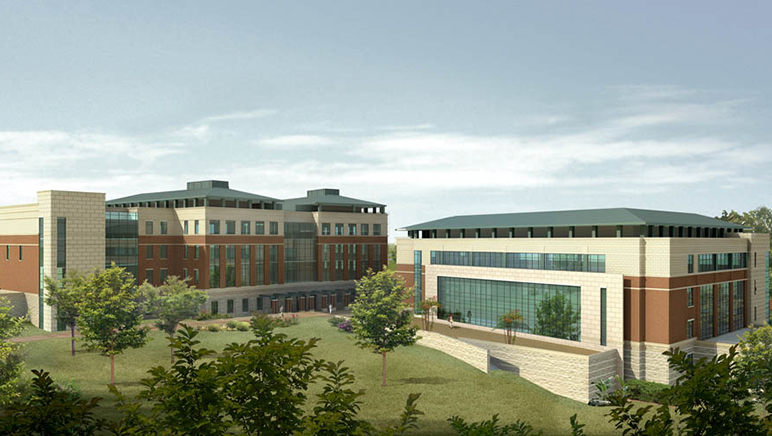 The architectural renderings for projects designed by past and current members of Architecture for Health’s prestigious Health Industry Advisory Council were originally published in the May-June 2011 issue of Texas Aggie magazine and repurposed here with permission. The vast majority of the people mentioned in these projects are former students of Mann's.